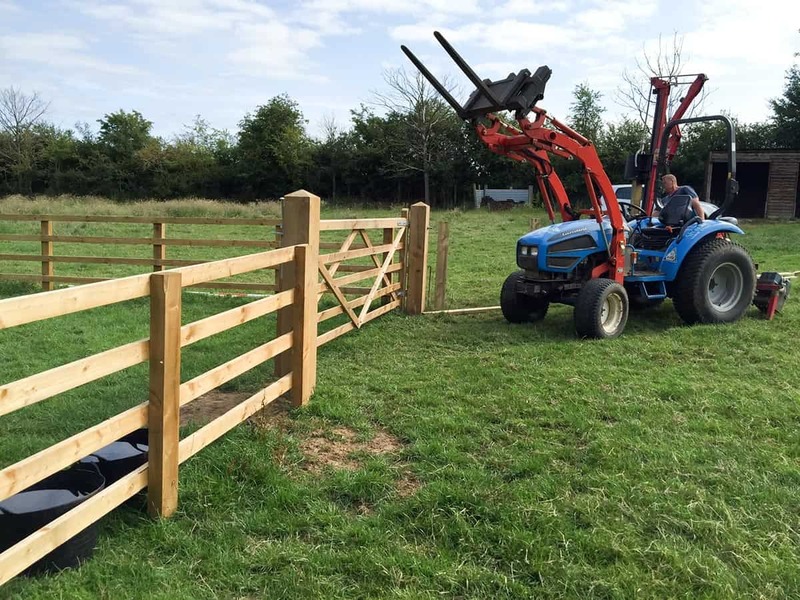 There are many different types of fencing available to suit a range of budgets and individual requirements. 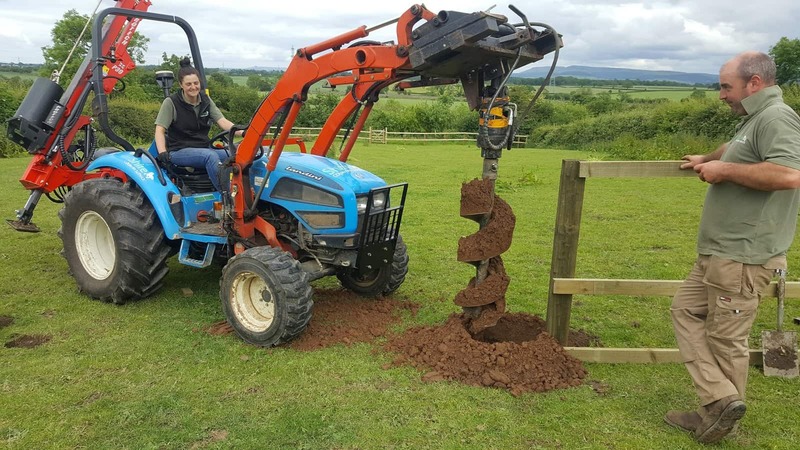 Whether you want to make your garden safe for dogs, your paddocks safe for horses, fields stock proof or are in need of repairs or new gates installed, we are able to assist. 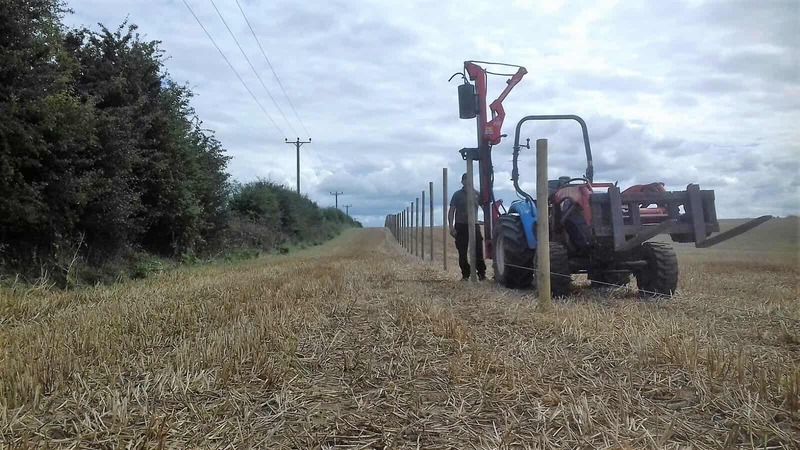 Our experience and versatile range of machinery allows us to undertake a wide range of fencing services across the North East of England. 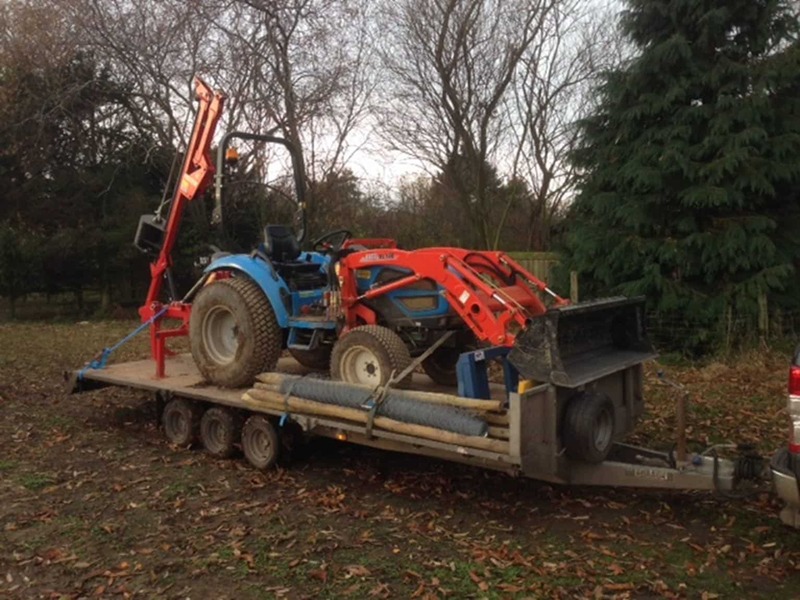 We also hire our digger with auger and breaker or tractor and knocker with an operator. Rates available by the hour day or week. Please note we are unable to undertake fencing which is further than 20 miles from our base near Richmond, North Yorkshire. Please contact us to discuss your requirements or for a quotation. 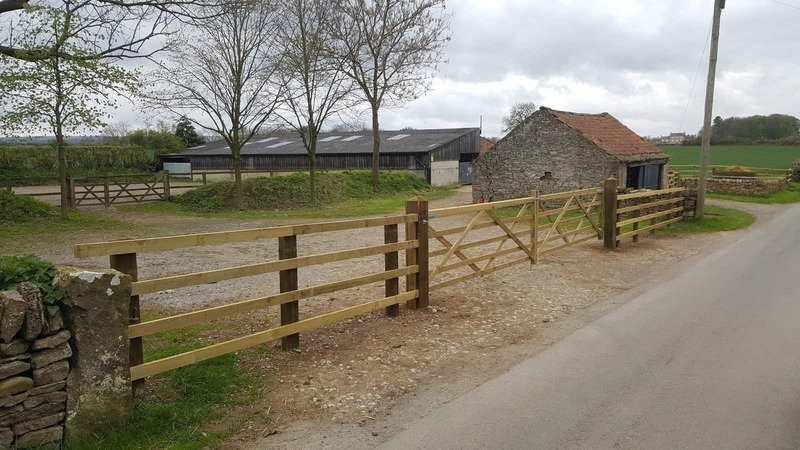 The most traditional and classic type of fencing, used by many country houses and equestrian establishments across the country. 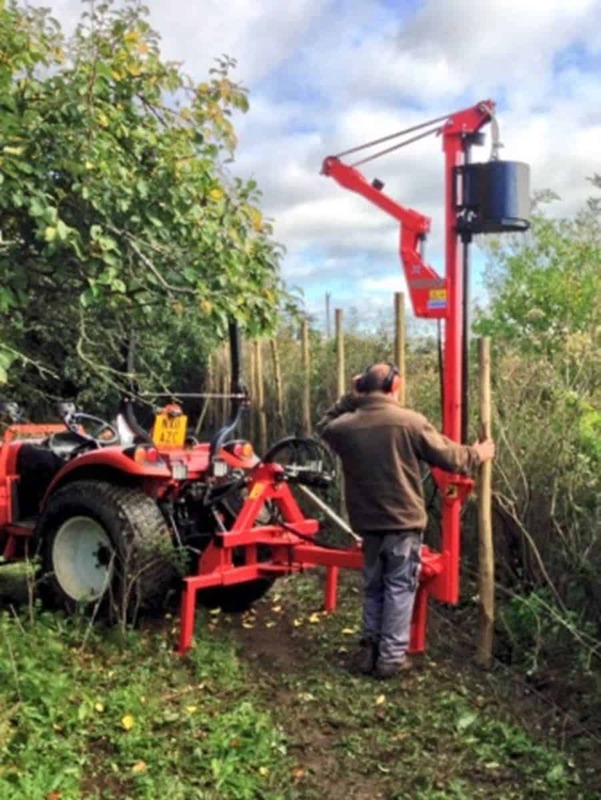 A mechanical post knocker is used to drive square posts into the ground followed by attaching between 2 and 5 rails depending on the type of livestock to be contained. 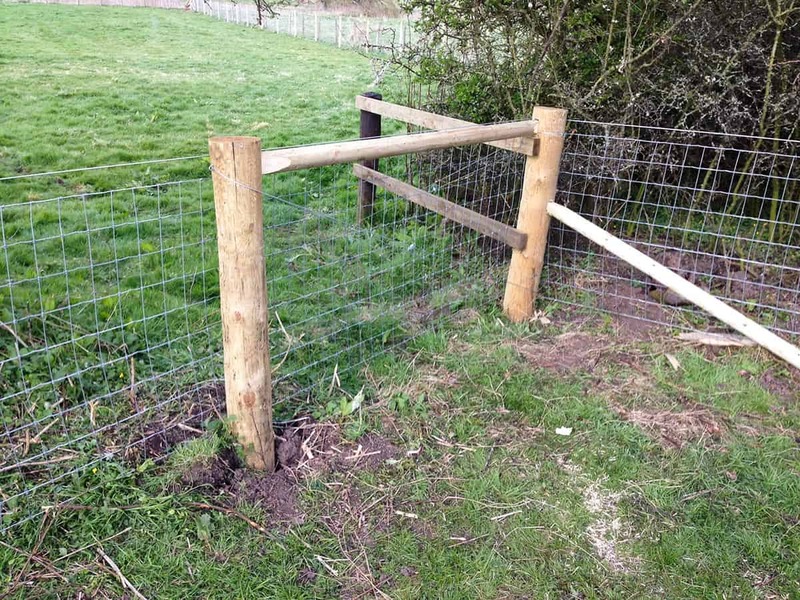 Correctly installed post and rail fencing can last for more than 15 years. 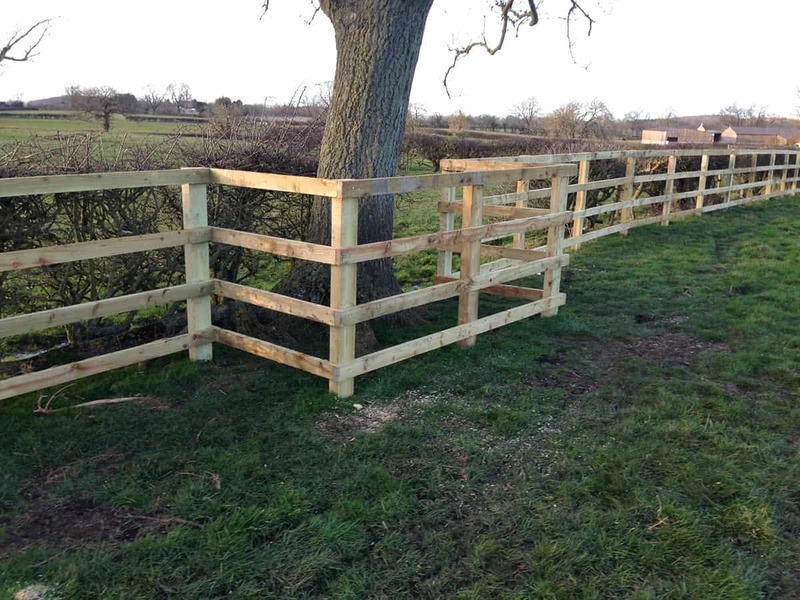 It is simple to repair and maintain, and provides a smart visual appearance as well as providing a safe environment for horses. 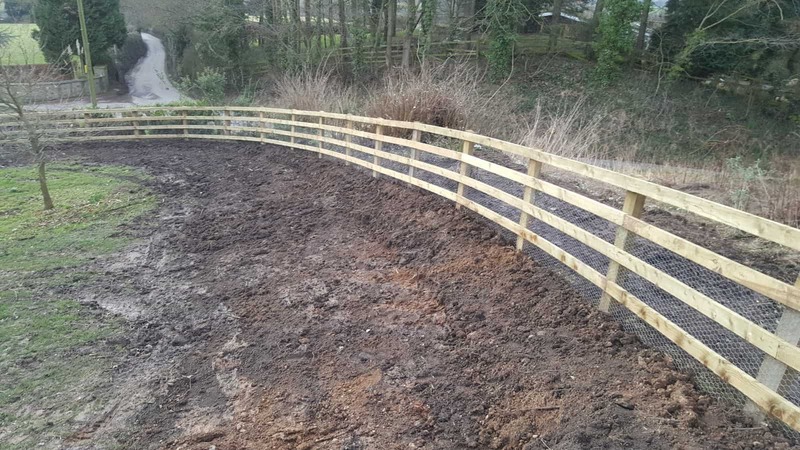 We always use treated FSC certified timber and where required we can supply 15 year guarantee posts or creosote impregnated posts and rails which have a 30 year guarantee. Small stretches as well as longer, more complex fence requirements are no problem. 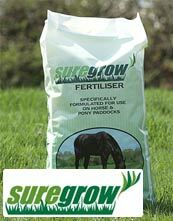 These include arenas, paddocks, driveways and track systems or to separate rights of way from livestock. 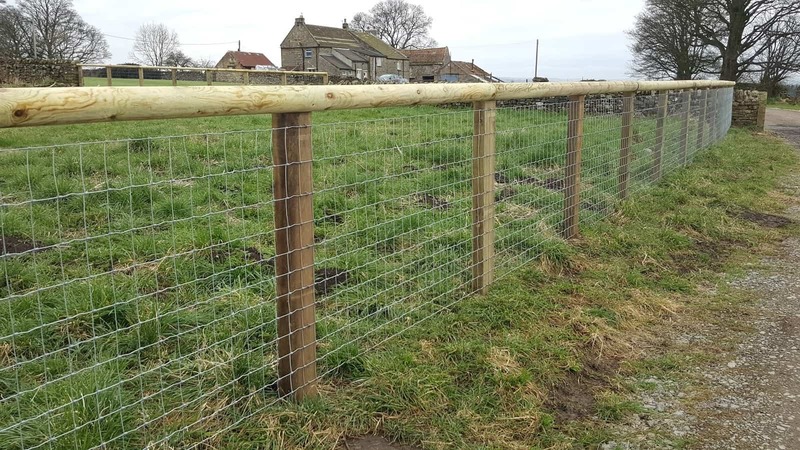 Our post and rail fencing is installed to a high standard, without compromise and using high specification quality materials. 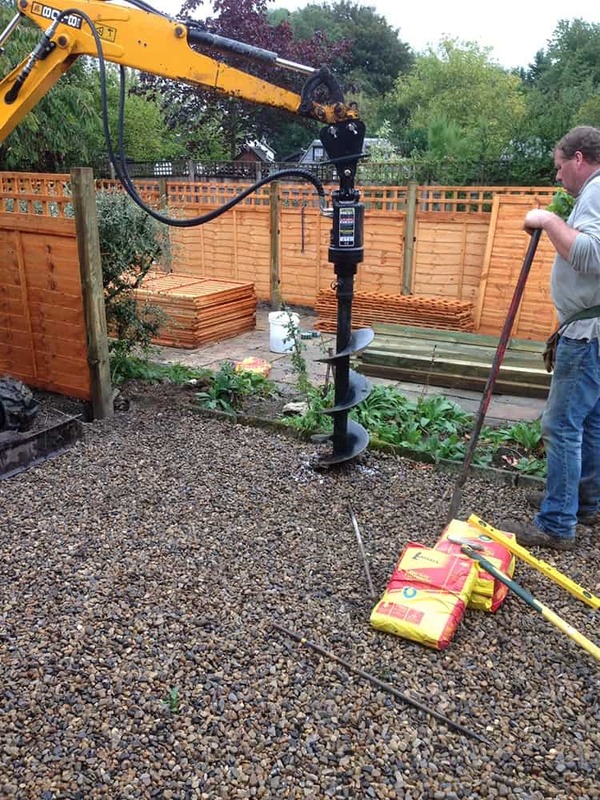 We are proud that it is one of our most popular fencing services. 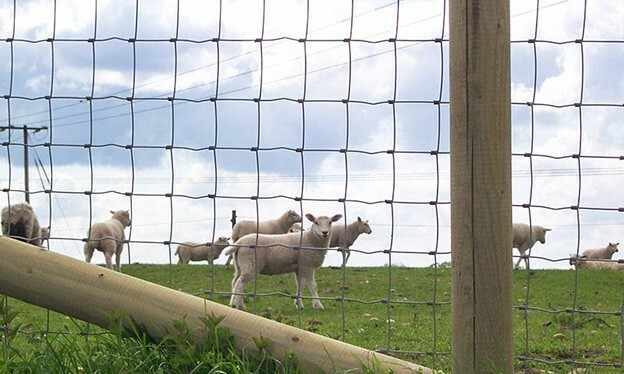 Additional features such as rabbit netting, gates, stiles, slip rails and water troughs can all be incorporated. 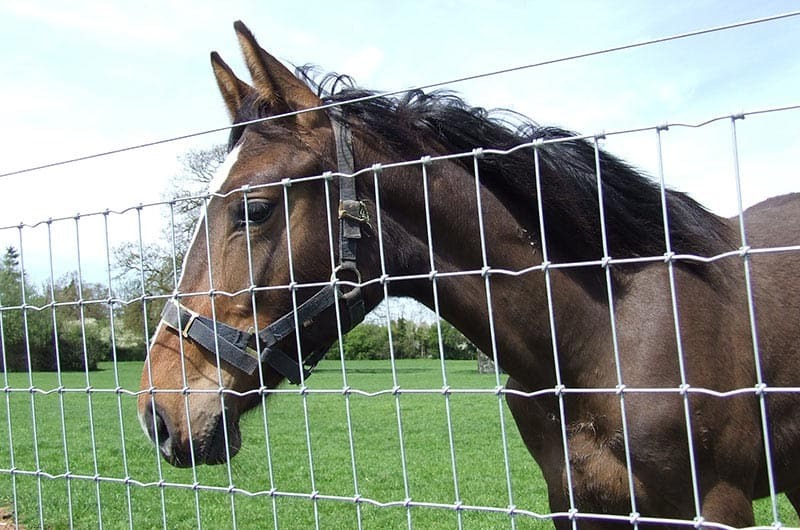 Specifically designed for horses and foals and more cost effective than post and rail, this type of fencing is becoming increasingly popular. 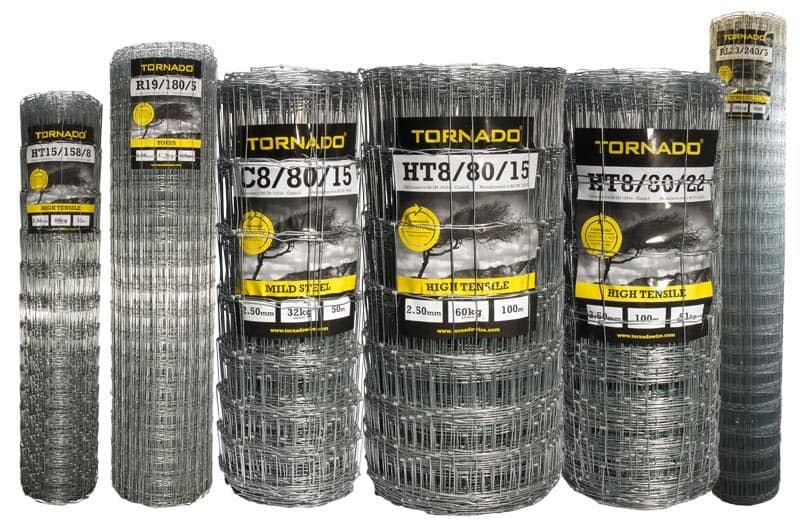 We use the Tornado range of wire net which is strong, durable and available in a wide range of specifications to suit the application. It features solid vertical wires which are close spaced to help prevent damage to hooves, and the unobtrusive high pressure bonded Torus knot does not have any sharp edges. 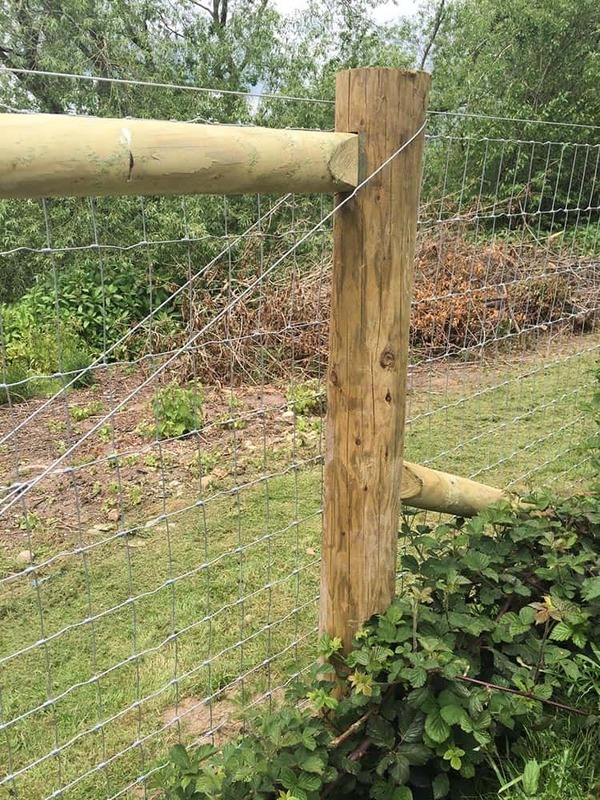 It is manufactured with high tensile wire which strains tighter than mild steel and so requires fewer intermediate posts, making it quicker to erect. It does not stretch with weathering so does not need to be retightened annually. To aid visual recognition of fence lines we can then add a single top rail or single or double strand of plain line wire. 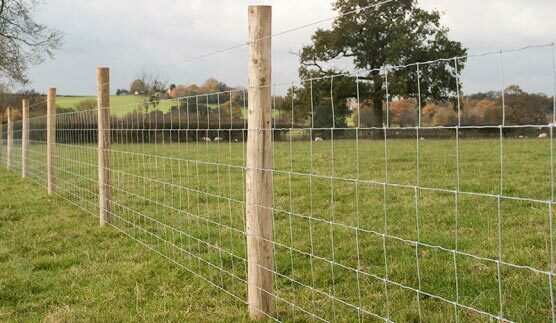 All are available with the option of 15 year guarantee posts and the choice of single or double barb, line wire or a top rail. There are few things worse than a badly hung or difficult to open gate! 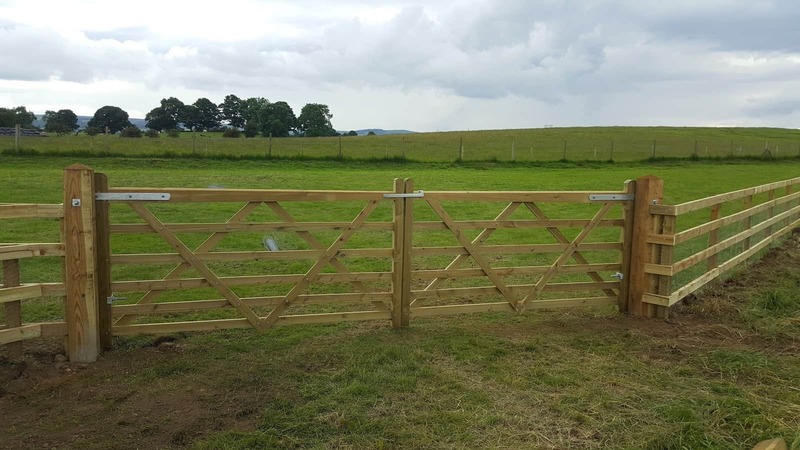 Gates provide a visual deterrent as well as a physical barrier to keep livestock in and unwanted visitors out. 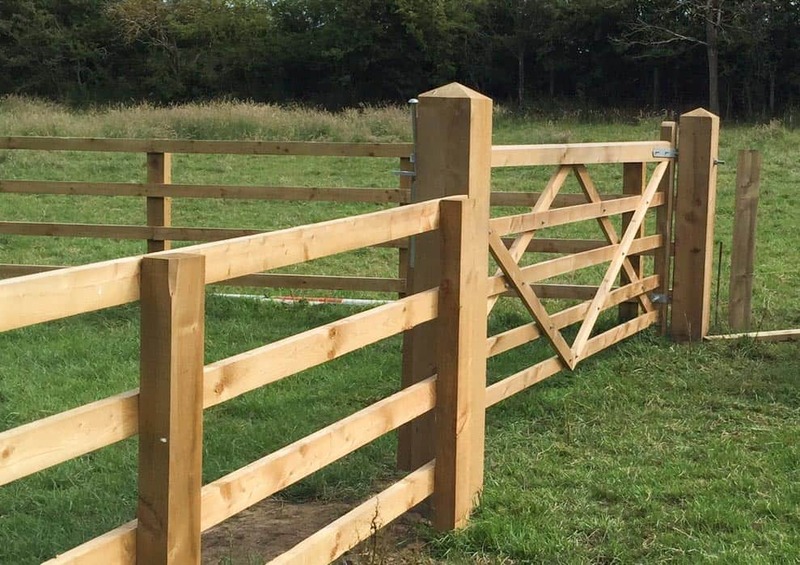 We are able to supply and install galvanised steel and wooden gates suitable for livestock and arable fields, driveway entrances and pedestrian footpaths.